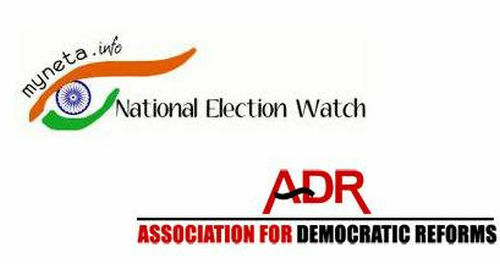 The Social Welfare and Reforms Council of India expressed concern over the increasing role of money power in electoral politics and stunned with the increase of wealth to manifold (more than 1000 percent in five years), it has urged the Election Commission to make disclosure of income source mandatory. Chairman of the council Rajeshwar Negi said that the declared assets of candidates were increasing manifold with each poll, but these were not being scrutinised for sources of income and as such the entire provision of declaration of assets had become meaningless as far as checking corruption is concerned. In a memorandum to the President, the council had suggested that a column should be added in the affidavit to provide for declaration of the annual income and its sources. Every candidate should file only one affidavit containing all vital information under Section 33A of the Representation of the People Act, the council has demanded. Moreover, making any false declaration before the Election Commission or any other authority designated by it should be treated as an electoral offence under Section 8(1)(i) of the Representation of People Act, inviting disqualification. The council has also demanded that the information regarding sources of income, assets, antecedents and criminal liabilities of candidates should not only be put on the official website, but also published for public information in the constituency of the respective candidate.